Would You Wear… Lace-Up Ballet Flats? The latest take on the ballet flat is fresh and cool, as long as you don’t mind wrapping and tying yourself into them. After months of slogging around in boots and wool socks, it’s time to free your feet and step up your footwear game. The latest take on the ballet flat is fresh and cool, as long as you don’t mind wrapping and tying yourself into them! 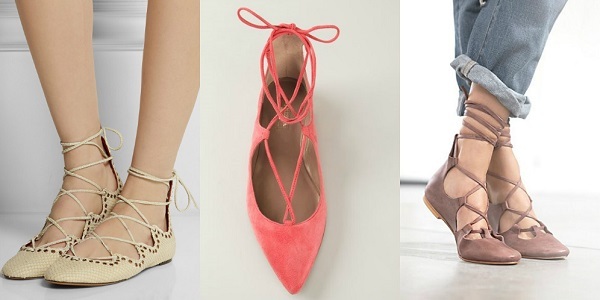 The lace-up ballet flat is spring’s hottest footwear trend and we can’t wait to give it a shot. This trend is not a far cry from gladiator sandals, but it is definitely more feminine and put-together. 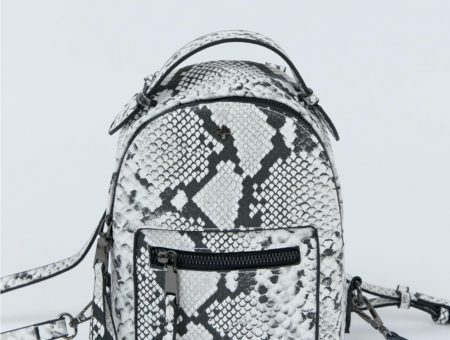 This style would be a great way to shake up your go-to outfits for campus. Think of how cute a slub-knit tee and a nice pair of jeans would look when finished off with these puppies? If you’re interested rocking some fancy feet this spring, we say give lace-up ballet flats a shot. 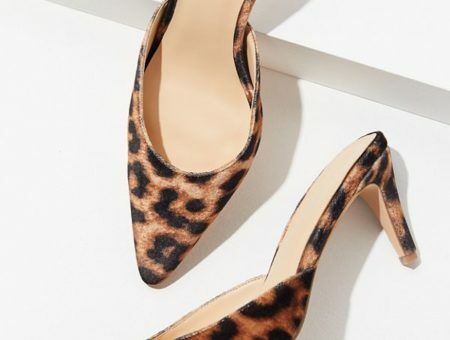 Are these shoes right up your alley or do you prefer sandals? What do you think of this look? Would you wear lace-up ballet flats? Comment below and let us know what you think! Tags : Lace-Up, Shoes, Spring 2015, Would You Wear?